Anderson Group is launching its new reinvigorated branding and position that reflects the impact agency’s energetic vibe, work ethic, and passion its team provides to clients. Anderson Group’s new brand shows off its bold approach to evolution and growth as an agency. To illustrate that shift, the agency’s new color palette uses red for strength and energy, turquoise for creativity and balance, and navy for loyalty and confidence. The new ThinkAnderson.com website replaces TheAndersonGrp.com as the hub of the Anderson Group’s online presence, showcasing the breadth of experience and services in dynamic ways. Interactive case studies and project profiles demonstrate capabilities with videos, images, and results from actual campaigns and programs. A dedicated industries section details the agency’s work experience in financial, healthcare, manufacturing, and consumer goods arenas for B2B and B2C. Anderson Group recently released its white paper on financial services, which will be followed up by a white paper on healthcare. Anderson Group refreshed its social presence on LinkedIn and updated its handles on Twitter and Facebook to @madebyanderson. “We love what we do – and it shows through our client relationships, campaign results, and the award-winning work that recently received silver, gold, and Best in Show at regional ADDY Award shows. We are positioned for growth and excited to take on new challenges to drive impact for our clients,” said Creative Director Jeff Phillips. 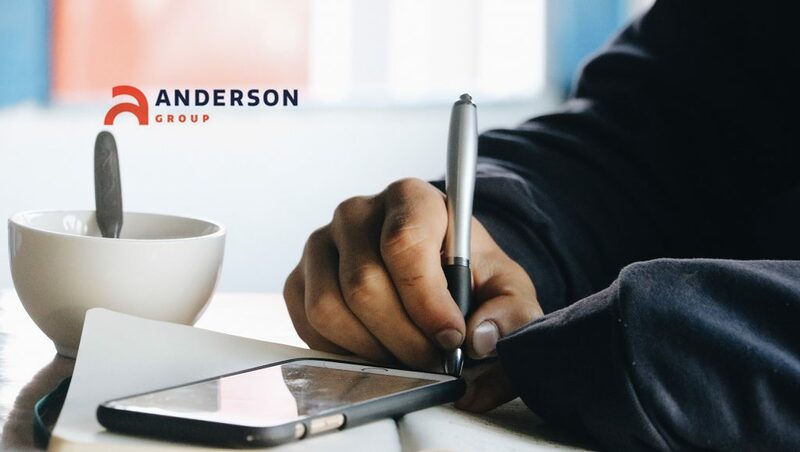 Anderson Group is a full-service integrated marketing agency focused on creating impact through customer-centric solutions for B2C and B2B clients. It was founded in 1987 as Anderson Advertising by (current) owners Linda and Mike Anderson and rebranded in the early 2000s as The Anderson Group.